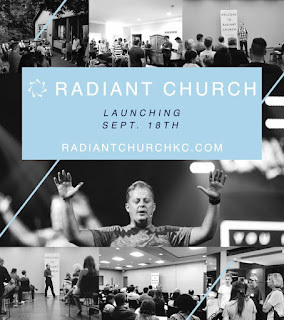 For me, my journey to Radiant Church started over 15 years ago. Three years before that, I had taken off to Colorado Springs, leaving the nest, beginning my adult years and what would become some of the most challenging adventures of my life. Someday, I'll share more about those, but for now I won't bore you. The summer of 2001, I took a trip to stay with family in southern California (I promise I'm getting somewhere with all these dates and years). While there, I visited Rockharbor's church campus in Costa Mesa and that one Sunday morning, my life was radically impacted. 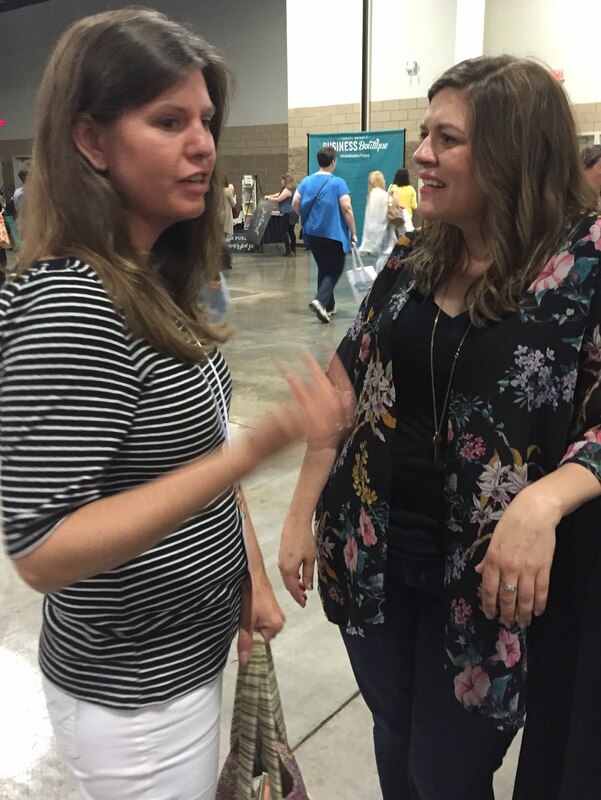 Even though I had gone to church all my life (I was a pastor's kid), just finished 3 years of being an intern staff member at a mega church, yet I discerned what it was I'd been missing those last few years. Humility. The presence of humility embodied by the staff, worship leaders and members of the congregation was, almost, physically tangible. Even thinking on this memory brings back the emotion that flooded over me in that moment. At that point in time, I'd already enjoyed a several year, close friendship with Christ, but sitting in that service I knew that humility wasn't as prevalent in my life as it should have been. There was a persistent need to surround myself with those who would call me to a greater measure. Reject religion and lead in love. My vacillation at that time, was either to take the job for the senior pastor's assistant (one of a couple) or help David and Renata Perkins start this group of radical, praying youth, suddenly became clear as day. The Perkins radiated this desire to lay-down their lives, to lead as servants, not looking to be served. Clearly, I needed more of what they could teach me. My time spent building Desperation and the Furnace was priceless and for many reasons it was difficult when my day to day could no longer be spent serving with the Perkins and the quality staff. Fast forward many ordinary days, to life after 7 years in KC with a husband, three kids and friendships that had already moved and gone or just passed beyond their season. We'd been restless for awhile. Should we move? Is there a job change? We loved our church 30 miles away in Olathe, but in the 7 years we had still not been able to invest as we knew we were capable of doing. Had we hit our ceiling here? For a few weeks, we even toyed with the crazy idea of buying a Tea House in another state and becoming small business owners. Instead, God built me a church. Well not exactly a literal, physical church, but the Perkins, who in obedience because of vision and a God-sized dream, were going to move to Kansas City. These last few months, we've experienced community with the Radiant 'dream team' that we did not realize we had been longing for in recent years. It's similar to that moment over 15 years ago, awe-struck with the presence of humility, then feeling alive for the first time in a long time. What a gift it is to serve, again, alongside such quality people and friends who are excited about loving this city, in word and deed. No church is perfect, as it's run by imperfect humans in need of a Savior and full of people who are in the same state of being. So, please hear me when I strongly encourage you to serve well where the Lord already has you, but if you've been desiring something different, or in need of a safe place to find healing and community, it would be a joy to see you on any Sunday morning service. 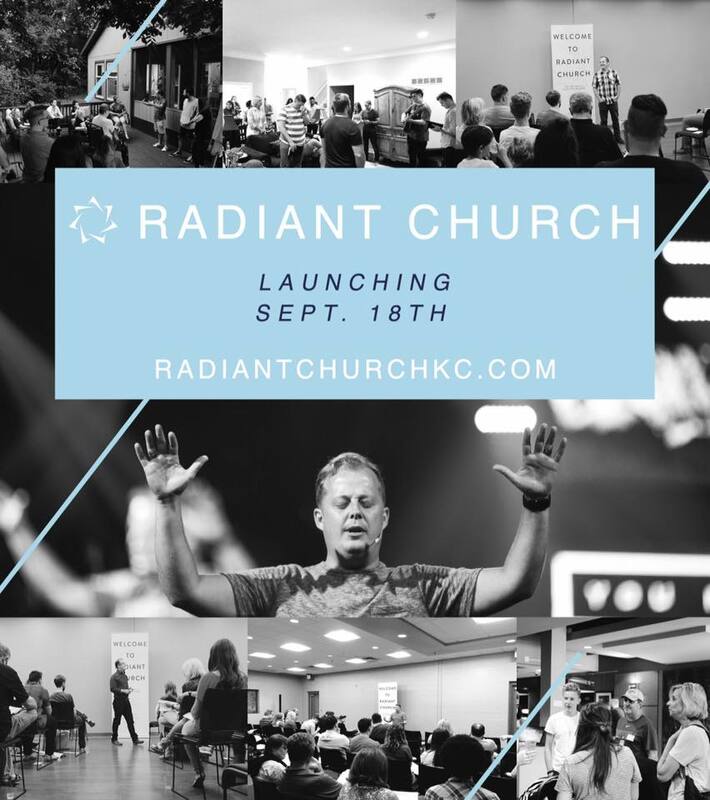 You won't find religion, but can come hear the Perkins journey to Radiant and experience for yourself the genuine love and humility that a group of people, from all over this country, have gathered together to share with this city. P.S. I've been working on a few projects in my 'spare time' and I look forward to sharing them with you in the near future! Two 'offical' blogs and a book re-write are my newest projects in this coming year. Thanks for taking the time to read! 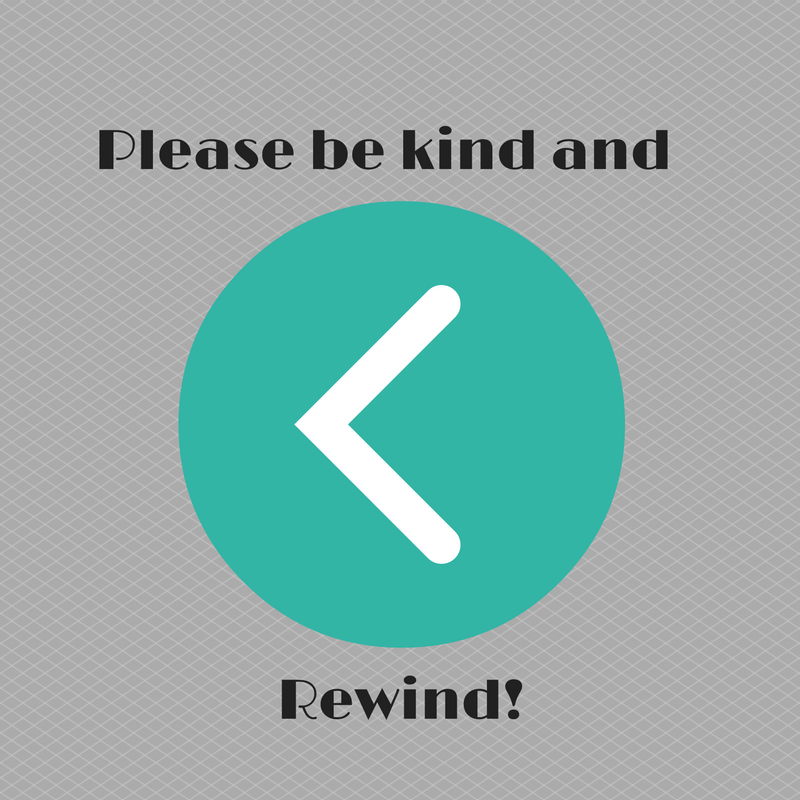 Remember those catchy reminders on your VHS tapes from the movie rental store? For those who don't remember, back in the day, you actually could drive to a building, see and touch hundreds of VHS titles to rent and watch on your own VCR. Don't know what a VCR is either? Well, I'm sure you can Google it to catch you up to speed, so I won't bore you. For the rest of you, you'll appreciate the humor of the title post. Recently, it was one of those days, in which that particular phrase kept running through my head. Really, climbing back in bed and trying to start the day over, seemed the absolute, best option. It really would have been kind to just rewind my day! Have I mentioned that this year I'm homeschooling completely alone? Not that you usually home school with a group of folks. Would that even be homeschooling? For four years we've home schooled on some level. Starting with a part-time parent partnership, then a co-op that was quite far and then this summer I was helping to plan a co-op that would meet at our home once a week. Before this school year began we had to bow out, much to my dismay and even though that was the right step for us, it's been a difficult decision to walk out. Each year has been a mix of blessing and stress, and the last few weeks have been no different. What a gift to have the honor and joy of staying at home to with my 3 kids, but what a draining task it can be as well. 24-7 training, teaching, guiding and loving (un)conditionally. Not to mention the menial tasks of housekeeping, cooking, and life do not get put on pause. Teaching 3 students ranging in personality and strengths and crossing the challenging years of ages 6-9 is no small task and I'm still certainly trying to figure it out. Some would suggest I need to relax the schedule a bit, others would recommend to add a reward system, and even more would give an honest assessment that maybe another would be the best to teach them. No doubt I've thought through this all and made adjustments based on good advice and wisdom. We all are bombarded with conference choices right and left; Mommy conferences, blogging conferences, life balance training, church weekend retreats. They all sound lovely and I'm one of the many who would like to attend everyone of them, but let's be honest. Spending the time, money and effort to attend is just plain daunting sometimes! Unfortunately, it has been difficult enough that 6 years has flown by, since I've taken a weekend to invest in myself. What?! Well, how many years has it been for you? How long has it been since you've let your self dream, not just the small stuff, but the big, scary, exciting dreams? Do you find it hard which part of your life to nourish? Spirit, soul or body? 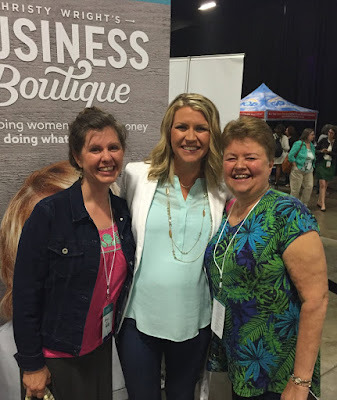 Fall 2015, was the first I heard Dave Ramsey speak of this conference designed for the woman/mom entrepreneur. It was so intriguing and up until the day before it started (true story) I really tried to figure out who I could just hop in the car and run away, I mean, drive to Nashville, even inviting myself to sleep on the floor of an acquaintance who lives near the venue. There was something about it that seem to resinate with my gut, but then I resolved it was most likely just another conference to get me excited about what my life was not going to be able to look like. You know what I mean, we who are in the day to day grind. Beautiful little faces to engage with, toilets to clean, mounds of laundry to put away (not my strength), and strong(willed) minds to fill with foundational math facts. Of course, that barely scratches the surface for most of us. None of this negates the blessings, truly that fact we have children, indoor plumbing and at least clean water to wash our clothing, means we are abundantly rich. In spite of it all, to whom much is given, much is required. We have seeds of hopes planted in us and as we learn from what life needs to teach us, we can't help but wonder if there is 'something more'. This is the year. 2016 is the year for you, for me, for our dreams to get nurished, inspired, refined and even defined. The Business Boutique conference refueled and affirmed my spirit, dreams, passions; as well as 1600 other like-minded women. It was powerful, y'all. The expectation was high, but it was met and surpassed in surprising and longed-for ways. 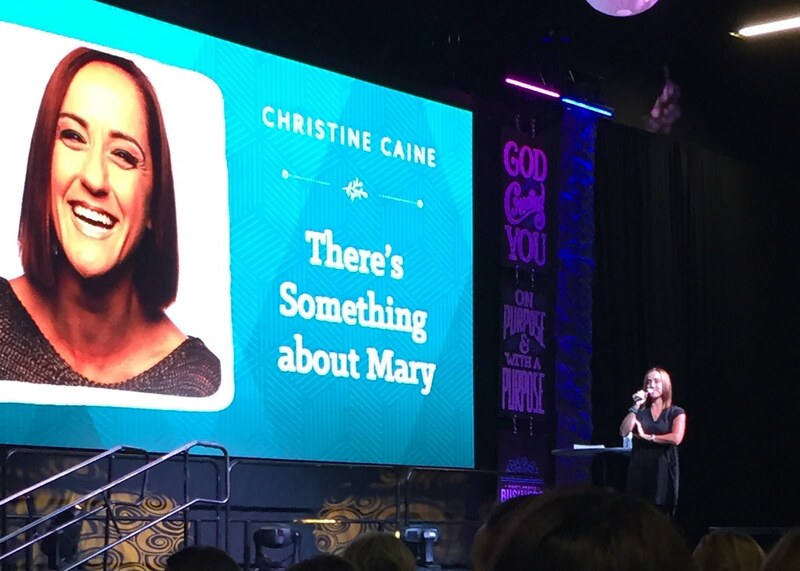 Incredible women filled the speaking platform, not just giving inspirational words, but giving actual tools, and resources to go achieve whatever mountain we needed to climb. Every page of the conference workbook was filled in and today was spent go back over just to help digest the bulk and it will be my go-to as big changes happen these next few months. GO! Yes, there is still a chance during the fall of 2016 to attend the best place to spend your hard earned money, vacation or whatever sacrifice you need to make to be a part of this movement. It sure would be fun to experience this together! Do you detest groupies? I totally did until I became one, once I realized the speakers would actually take a minute to talk to you! Annie F. Downs was the Emcee for the weekend and she was HILARIOUS! Christy Wright was fantastic. Got to admit I'm jealous about how cute she looks pregers, but she had some great content. Why wasn't I that smart at her age? Did I mention I convinced my mother-in-law to attend with me?! It goest to show, no matter what stage you are in life, this conference is for you! There is always a story behind the picture. Good or bad. Life is full, it is rich and it is busy. Striving to be intentional, sometimes, unintentionally, crams our schedules to full capacity. Juggling housework, homeschooling, school drop off and pick up, speech therapy for the little man, two part time home businesses, being a friend and a good sister/daughter/wife; we all have a lot. So, I'm guessing you can imagine my distress; after a 40 minute detour filled drive, when I found out I had mixed up the week my Bible study was meeting. It was the off week. Grrrrr!!! Completely my fault. Frustrating because I kept thinking of laundry or millions of other 'worthy' things I could've been catching up on instead of my expended effort for a nonexistent event. To top it off, as I was reeling from my scheduling error, the children's director at our church started talking to me, but she had mistaken me for someone else. Not sure who she had me confused with, but since I serve regularly on the team, I suddenly felt not so memorable. You know what I'm talking about. Seems a little self absorbed, but we all like to think that we are known well by people we interact with on a regular basis. Of course, I brushed it off like it was no big deal, but honestly, it stung a little. Thankfully, one of the sweet childcare workers sensed my distressed as I picked up my little guy 2 minutes after dropping him off. She kindly suggested that perhaps I should go do something fun with him since we now had been given this extra margin. 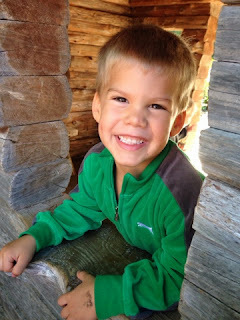 Granted, it took a few moments to readjust my thinking, but in the end, I decided to head to our local children's farmstead. As we drove out that way, I realized I never had taken the time to enjoy this special place with just him! We had such a simple, memorable time of course. Completely unplanned, yet exactly what we needed to do. 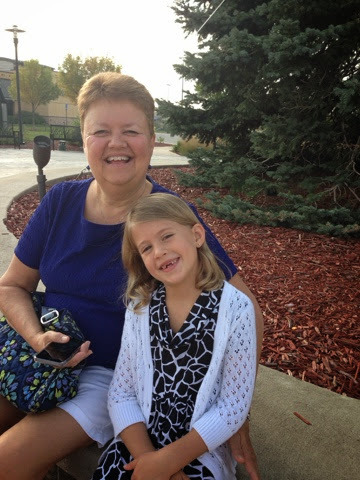 Wanted to post a few pictures from our quick girls weekend in Des Moines. A little less than 24 hrs of pure fun for the three cousins. So grateful to see the three of them share a friendship that is inclusive of one another at all times. We are looking forward to making this an annual tradition! Such a first world problem and yet, an age old problem. Honestly, if we were in a third world country our mindset would be mostly about survival. I am sure there still is a struggle with jealousy. Yet, some of the most content, joyful and truly happy people though I have met in places that seem so hopeless, empty of the luxuries that you can I experience everyday. I share what is on my mind, not because I have it figured out, but simply because I am here. Again. I say again, because when I was younger I couldn't wait until I could go off to school and have my own adventure. When I was having grand adventures I was envious of those who were getting married and happily settling down. When I was getting married.... well you can fill in the blank. The pull of grand promotions, babies, houses, Pottery Barn furniture. You know what I am saying. In the first years of our move to Kansas City, I saw the Lord really hammer contentment into my heart and I felt it transform my life. What peace, happiness and true joy I experienced no matter the circumstance. I still walk in that. Every once in awhile, I just have to remind myself of some simple truths. Heb 13:5 "Let your conduct be without covetousness, be content with such things as you have." Rom 12 :15 "Rejoice with those who rejoice and weep with those who weep." Heb 13:15 "Let us offer through Jesus a continual sacrifice of praise to God." Notice, it says to offer it through Jesus, not out of our own strength or ability. So, we are at the stage again where transition is happening for our close circle of friends. 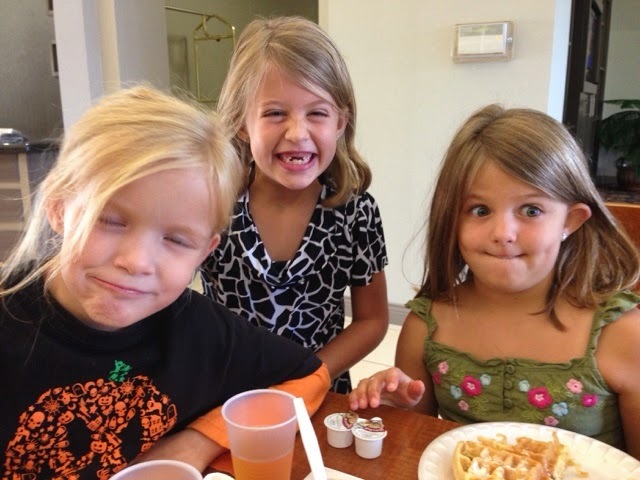 Grand adventures, job favor, even their kids are experiencing promotions in life. It is easy to get restless, wonder if we are missing something, maybe even envious of what our 'neighbor' has. Chances are that our life might even cause someone else to wrestle with discontentment. We are so blessed and life is so good. Psalm 119:74 "May all who fear you find in me a cause for joy, for I have put my hope in your word." May I be continually reminded of where my hope is found. Then I am reminded that the things in this world, that bring us happiness, is just icing on the cake compared to the joy to be found in Him and in the life to come. My pastor mentioned once, that at any given time we are just finishing walking through a crisis, about to head into one or in the middle of what we see as a trial. I would venture the same is to be said of miracles. I'm in need of one now. Really, I could use a few. How often do the bigger needs take our eyes off the small victories? Just a few weeks ago, we drove to my in-laws in Iowa. Only about a 5 hour trip, but we were bringing the very important Jack Stack ribs and beans for dinner! This was an easy drive, just our youngest with us, we were carefree and fun. We made it just in time and the whole gang was waiting for the food, er I mean, our arrival. 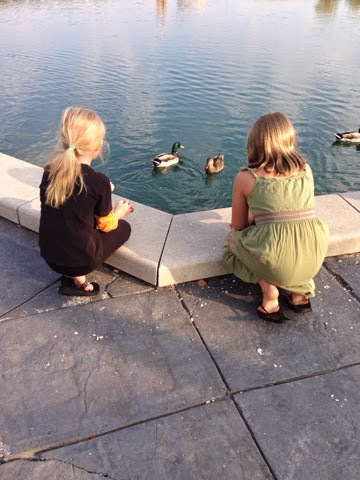 We headed out later that evening with friends, to go look at favorite places around town and hear memories from my husband and his friend of 25+ years. As we pulled back up to the house we noticed that our van, which had sat in the drive way since we arrived earlier that day, had a very flat tire. What a bummer! I wanted to moan over the money & time that was about to be spent, but I found myself saying something that surprised even myself. What a miracle that it happened after we finished our drive, instead of somewhere in the middle of nowhere. So true. Certainly, I am far from a saint and can easily count it all joy, but I let myself think about my response. In many ways, this could've gone down differently that would have changed the whole scenario. I personally, have experienced a few inconvenient flat tires in my life. I was truly grateful that the tire went flat when it did. Learning gratefulness, practicing gratefulness. Eventually, hopefully, experiencing gratefulness in the fullness of how our Lord desires. Until that time, I choose to meditate on the ones that I have already journeyed through. The reality is, I can't even remember half of all that I've been given and I'm confident that when I get to heaven, many will be revealed that I hadn't noticed here on earth. I wait. You might be waiting as well, but in the meantime; see and experience the miracles of the everyday. A very special miracle story & if you haven't read this you must! Looking for some sanity in the summertime? I'm a blessed mom of three kids and have been happily married for over 11 years. This is just my little space to write down a few special memories so hopefully I won't forget them all!